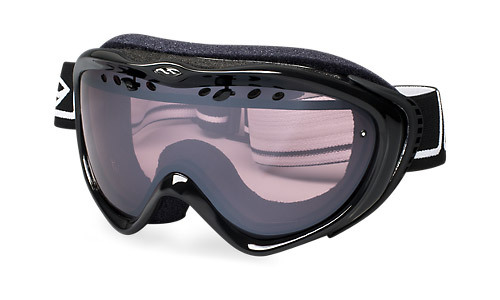 Anatomically engineered to work in unison with female facial features, the black Anthem continues to be the first choice in women's goggles. The small fit features a spherical, carbonic -X lens with TLT optics, a patented vaporator lens technology with Porex™ filter and patented regulator adjustable lens ventilation, silicone backed strap, QuickFit strap adjustment system with clip buckle, and dual layer, DriWix face foam. The Anthem is compatible with a helmet and includes a microfiber bag for storage.